Best Value! Get the most out of your subscription! 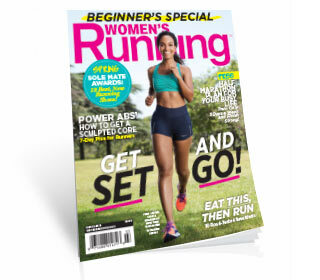 Get every issue of Women's Running delivered straight to your mailbox and you'll enjoy convenient digital access to each issue on any digital device! Save up to 65% off Newsstand! 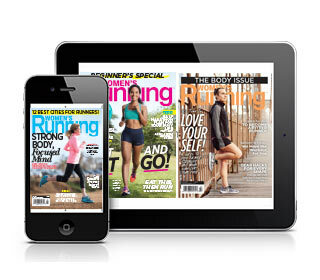 Receive every issue of Women's Running delivered straight to your mailbox. Save up to 60% off Newsstand! 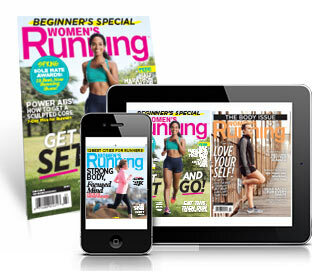 Get instant access to every issue of Women's Running, anytime- before it hits newsstands, on the digital device of your choice. Preferred Automatic Renewal Program: We will continue to renew your Women's Running subscription at the rate then in effect, without interruption, unless you tell us to stop. At the end of your subscription you will receive a notice prior to your credit card being charged. You may cancel at any time during your subscription and receive a full refund on all unmailed issues by emailing womensrunning@emailcustomerservice.com. If there is ever a problem with the card you provide, we will simply bill you instead.